In Combi Chilling, cooling of eviscerated products happens in two phases, by means of several short dips in cold water tanks, followed with air chilling. At the end of the eviscerating line the carcasses have an average temperature of approximately 42 degrees Centigrade. This temperature has to be lowered as soon as possible to 4 degrees Centigrade to ensure the quality of the meat and prevent growth of bacteria. With a conventional air chilling system and a carcass weight of 1.5 kg this takes approximately 100 minutes. With the TopKip Combi chilling system this only takes about 67 minutes. During the Combi process the carcasses are alternately chilled by water and air to get the best cooling (heat exchange) results and product quality. 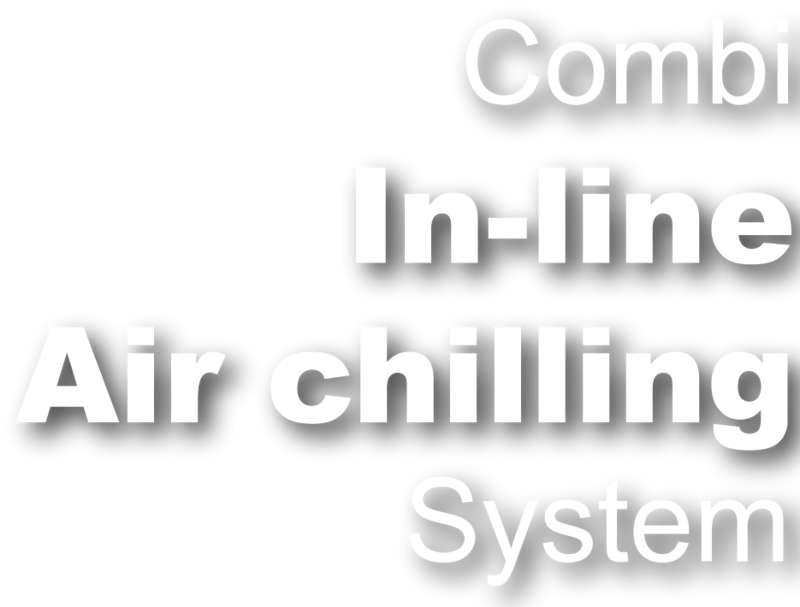 A well balanced custom made air circulation system fitted with evaporators and fans controls the air temperature at a constant 0°C in the chill room. The total overall immersion time of the carcasses in the Combi chill tanks is about 4 minutes. TopKip has created a special design of the water tanks, and the positioning of the cooling walls. Combined with a controlled water supply it established a clean process. The moving carcasses, the overflow possibilities and incline of the tanks ensure a constant counter current of water that prevents contamination of water and products. In order to chill down the broilers with this technique per bird approximately 0.5 ltr of water is needed. An advantage of this method is the extra rinsing cycle the carcasses are subject to at the end of the evisceration line. 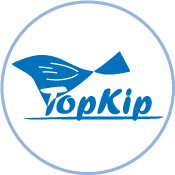 By adding the TopKip Combi system to an existing Air Chill system, because of the compact setup of the system and the chilling method, products can be chilled down within a short time at a relatively small floor space. The system creates an increased production capacity up to 50% without any major structural adaptations necessary to the building.